Bask in the sun and enjoy your morning commute in comfort with a new pair of sunglasses from In Focus Eyecare! 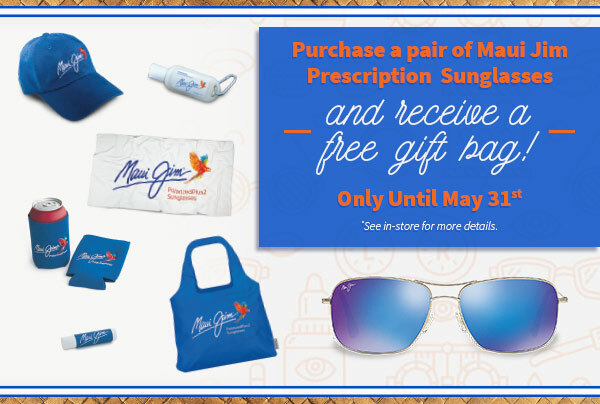 Whether you’re looking for a new pair of chic Maui Jim sunglasses, or a set of sporty specs from Oakley, you’ll find the right pair at your local In Focus Eyecare. Our three locations carry the best of the best from more than 15 leading sunglass brands, all in-stock for you to see and try on! A great pair of affordable sunglasses is perfect for Southern Ontario’s climate! Whether you’re out on the lake enjoying a summer afternoon, or taking to the trails for some winter sledding, there’s always a reason to get out and enjoy the sun! We carry sunglasses for your entire family- kids included! Don’t choose between comfort and clarity: get the best of both worlds by building your corrective lens prescription into your sunglasses.